It’s not often that a craft project turns out exactly the way I imagined in my head, but this was one of those fortunate cases. I really enjoyed this project, and I think it’ll appeal to a lot of you since geometrics are still very popular. Firstly, I can’t take credit for this idea, I was inspired by this awesome tutorial over at Sugar & Cloth. I mixed things up a little by using wire instead of string, and my gems were a bit smaller. But use whatever appeals to you, or whatever you have on hand. 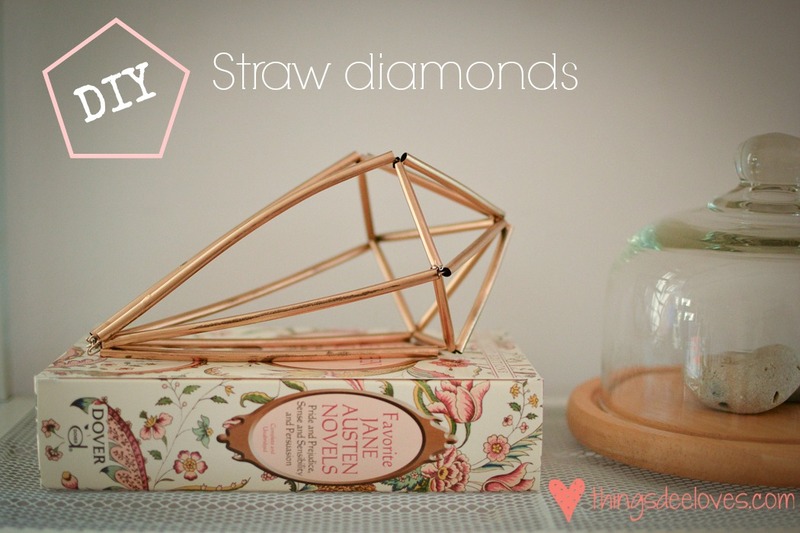 It really isn’t difficult to make your own diamonds from straws! Next, cut a piece of wire roughly 40cm in length. 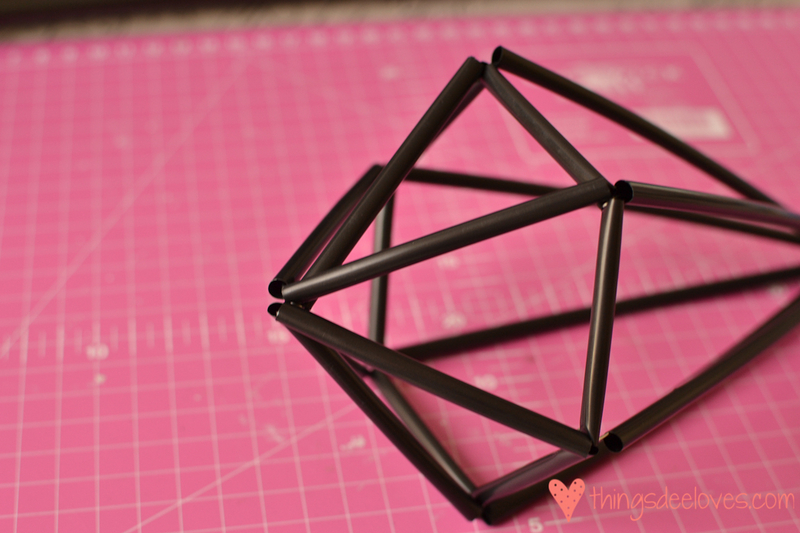 Thread on your six 5cm pieces of straw, and close to form a hexagon. 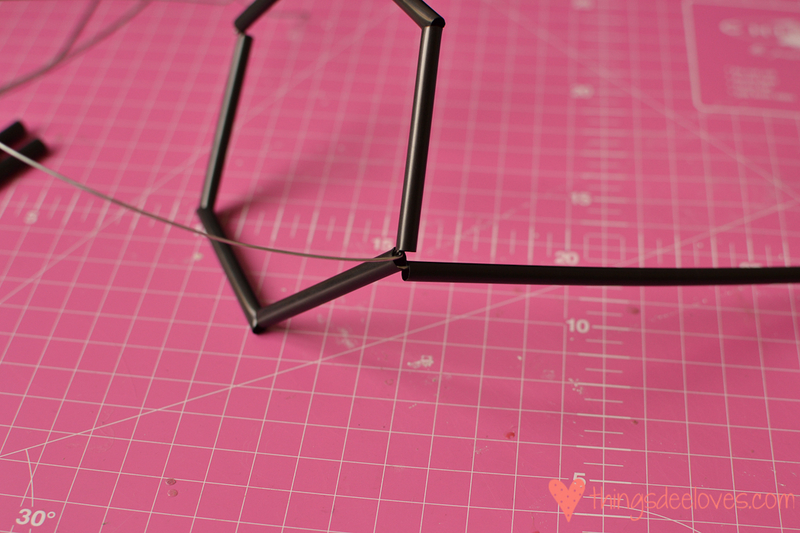 Twist the two end pieces of wire together, and cut. 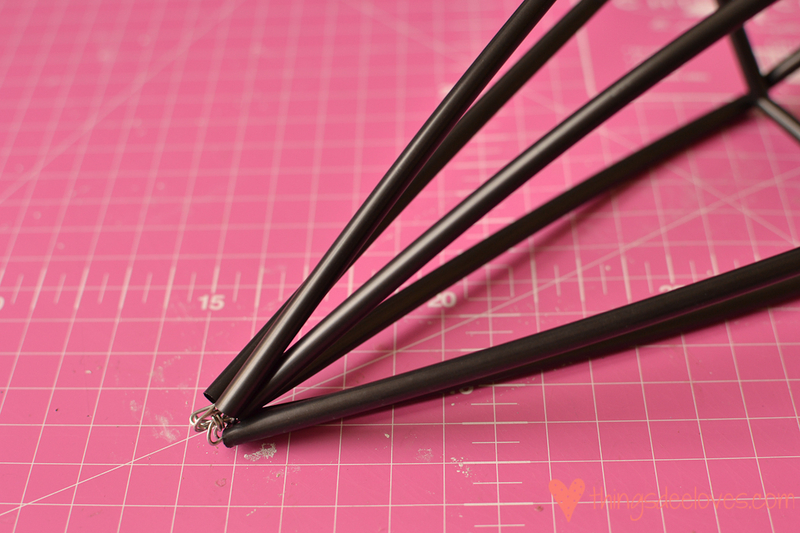 The tail piece can be threaded into one of the straws to make it neat. Cut another piece of wire, about 60cm in length. Thread one of the 15cm straw pieces onto the end of the wire, then wrap the wire around one of the sections between the straws of your hexagon. 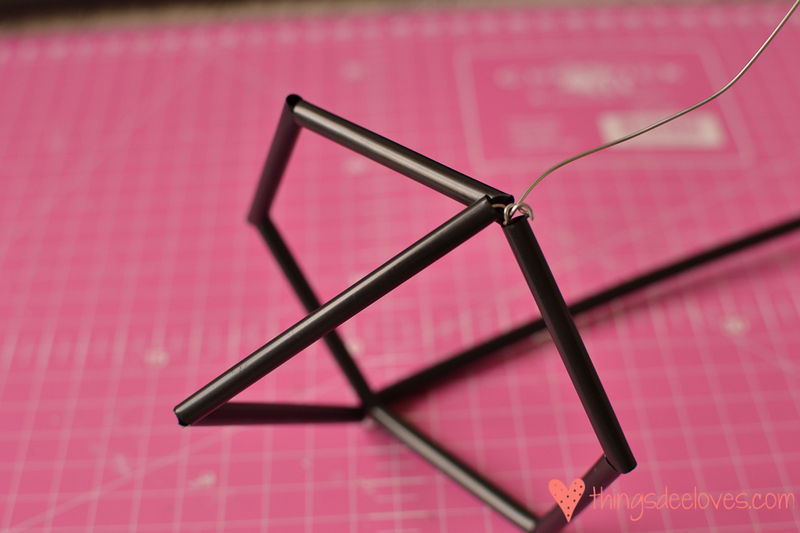 Now thread two of the 7cm pieces onto the wire, and wrap the wire around the opposite side of the hexagon. This will form the top point of your diamond. 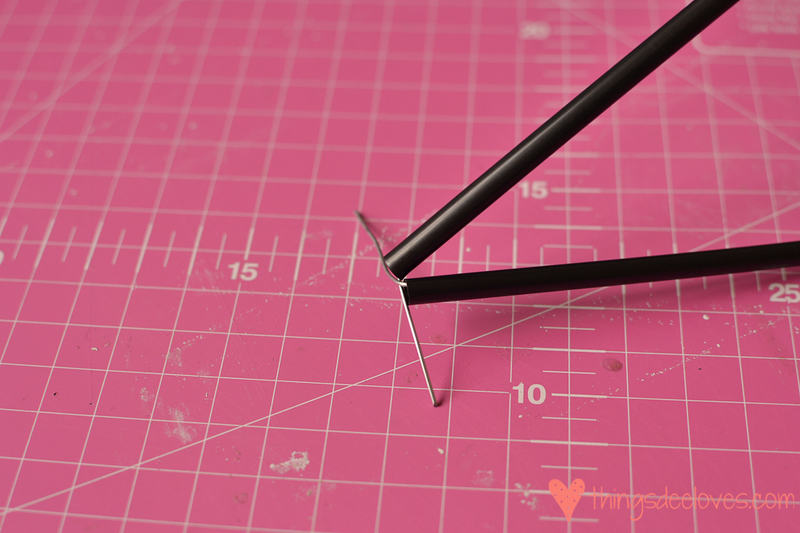 Thread another 15cm piece of straw, and wrap the two loose ends of the wire together at the bottom of your diamond. 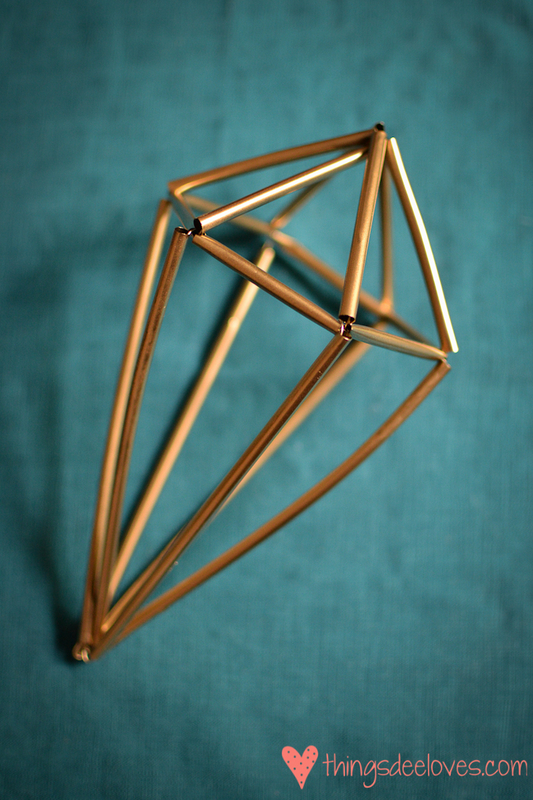 Repeat twice with the rest of your straw pieces, to finally form six sides of the diamond. 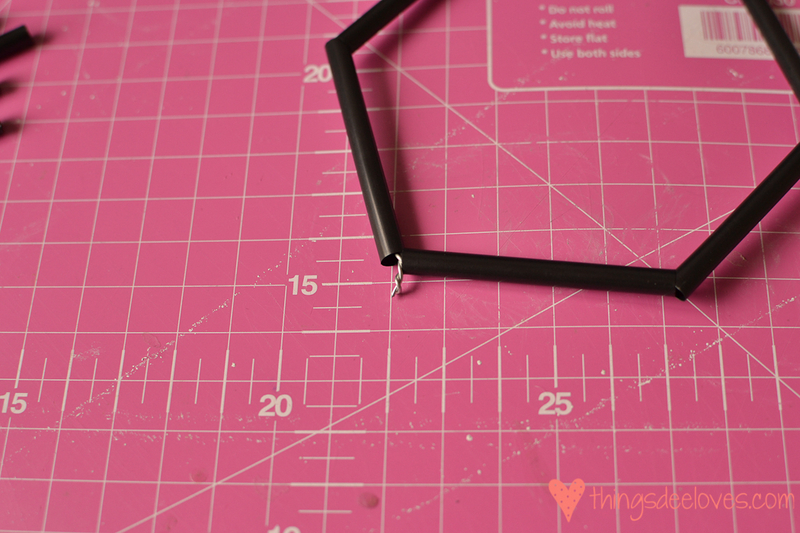 Wrap all the loose pieces together at the bottom of the diamond, and thread into the straws to neaten. Finish off with some spray paint in the colour of your choice, and you’re done! These would be great as part of a centerpiece for a wedding or party. Or what about painting some in pastel colours and making a mobile? Have fun, and please let me know if you make some! 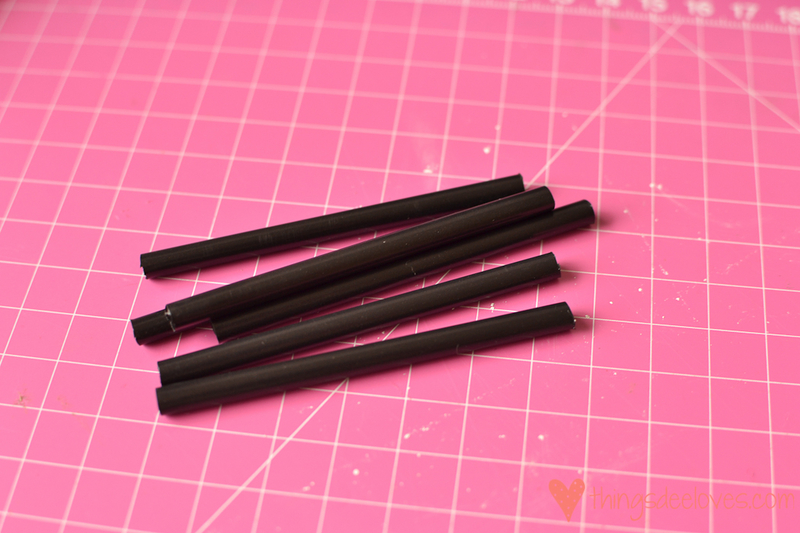 Tomorrow I’ll be sharing another way to use your straws, so stay posted! This is so cute – love it! !